Among the hidden features offered by Google, there is one more that allows you to turn your smartphone into a bubble level. No application is necessary, just use the mobile version of Chrome or Safari. How to Turn Your Smartphone Into a Bubble Level? Visit Chrome or Safari, then in the search bar, type “Bubble level”. This search query display a functional level to bubble in the upper part of the window of the search results. A target indicates the level. You will get the same angle. To use, place your smartphone on a flat surface. You can quickly find out if your washing machine or TV set are level. This uses your smartphone’s accelerometer, the Google bubble level tool works pretty well without an app. Here’s GIF showing how it works from Barry Schwartz, news editor of Search Engine Land. Of course, there are several applications for Android and iOS that offers this feature. 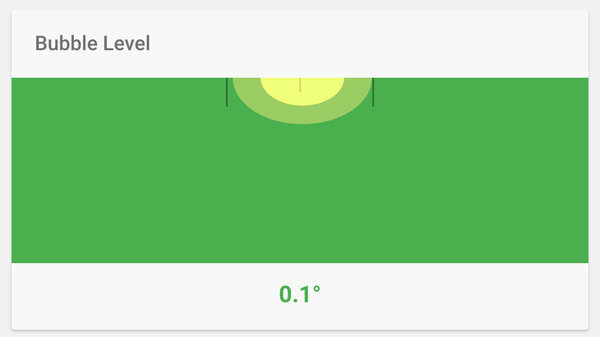 However, if you need a simple spirit level on your iPhone or Android smartphone, this tool is integrated with Google is really effective.